LSJ, Issue 45, June 2018, pp. 84-85. The 2012 amendments to the Workers Compensation Act 1987 (NSW) (‘the Act’) controversially placed signiﬁcant time limitations upon claims for a range of statutory beneﬁts, notably including claims for medical treatment expenses and weekly payments in relation to wage loss. Prior to these amendments injured workers were free to make claims for medical treatment for an injury at any stage in their lifetime. However, the amending legislation imposed strict time limits with the exception of workers deemed to be in the most seriously injured category. Following a parliamentary inquiry, further amending legislation in 2015 introduced a number of exceptions to such time limits, including treatment for the provision of, amongst other matters, ‘artiﬁcial aids’, leaving the question open as to what type of treatment falls within the ambit of such a phrase. Injuries to joints such as knees and hips often put in place a degenerative process that may lead to the need for very expensive joint replacement procedures, often decades after the original injury. By this time, the time limits imposed by the legislation may preclude a worker from claiming such costs. 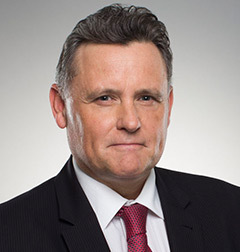 However, a recent Presidential decision in Paciﬁc National Pty Ltd v Baldacchino  NSWWCCPD 12, determined that a knee replacement procedure does constitute the provision of an ‘artiﬁcial aid’, thereby permitting injured workers to pursue claims for the costs of such procedures unrestricted by time. On 27 October 1999, Mr Baldacchino, a long-term employee in the rail industry, suﬀered a twisting injury to his left knee while alighting from a locomotive. In December of the same year, he underwent arthroscopic surgery in the nature of meniscectomy. His claim was accepted at the time and his treatment expenses were paid, along with weekly compensation for his wage loss. In the years that followed, the condition of his knee deteriorated. In 2014, his employment came to an end when he was made redundant. Subsequently, in 2016 at age 65, he was referred by his GP to an orthopaedic surgeon who recommended knee replacement. He then notiﬁed Paciﬁc National and sought approval in relation to the surgery. Following a prolonged process of assessment of its liability, Paciﬁc National issued formal notiﬁcation declining liability on the basis that it did not consider the injury in 1999 to be responsible for the proposed surgery. The matter proceeded to determination before Arbitrator Harris of the Workers Compensation Commission. An order was sought directing Paciﬁc National to pay for the costs of the procedure. How-ever, Paciﬁc National opposed the application, not only disputing the causal connection to the injury but also with reliance on the time limits imposed on the making of claims for medical treatment expenses contained within s 59A of the Act. Relevantly, s 59A provides that compensation is not payable in relation to medical treatment that is provided beyond certain prescribed periods following the injury: two years, if there is less than 11 per cent whole person impairment; ﬁve years, if the impairment falls between 11 per cent and 20 per cent; or unlimited if above 20 per cent. Alternatively, the same periods apply as from the last date that weekly beneﬁts for economic loss are paid or payable in relation to the injury. However, the 2015 amendments to s 59A also contain a number of exceptions within s 59A(6) in relation to which no time limits will apply, including: ‘(a) the provision of crutches, artiﬁcial members, eyes or teeth and other artiﬁcial aids or spectacles (including hearing aids and hearing aid batteries)’. It is also notable that s 59A provides a mechanism within subsection (3) for the reopening of claims for treatment expenses but this mechanism is limited to any subsequent period in which weekly benefits again become payable. However, in this case Mr Baldacchino, who by the time the proceedings were commenced had reached age 66 (one year post-retirement age), was ineligible to reopen his claim for weekly benefits and so gain the benefit of this provision. The remaining avenue was the argument that a knee replacement was an ‘artificial aid’ for the purposes of the exceptions within subsection (6). In his decision dated 9 October 2017, Arbitrator Harris made findings, inter alia, that the surgery was reasonably necessary as a result of the injury on 27 October 1999 and also that the proposed surgery fell within the meaning of ‘artificial aid’ within s 59A(6) of the Act. Accordingly, he issued an order directing the Respondent Employer to pay the costs for the provision of the procedure. In so finding, he relied upon an earlier interpretation of a similar provision contained with-in the Workers Compensation Act 1926 in Thomas v Ferguson Transformers Pty Ltd  1 NSWLR 216. In that case, the Court of Appeal had considered the meaning of ‘artificial aid’ insofar as it might apply to the provision of modifications to a motor vehicle to enable the vehicle to be driven by an injured worker who had lost the use of his legs. The majority (Hutley JA and Hope JA) held that an ‘artificial aid’ was ‘anything that was specifically constructed to enable the effects of the disability to be overcome’ and that ‘[t]he essential quality of an artificial aid is that it is an aid specifically tailored to the needs of a person’. In arriving at his decision, Arbitrator Harris stated that he was bound by the decision in Thomas and, in applying the principle, concluded that a knee replacement procedure fell within the definition because it was designed to overcome the effects of the disability. Furthermore, in so deciding, he rejected a further submission made by the respondent that an artificial aid was something external to the body. Pacific National lodged an appeal, which was determined by Deputy President Snell on the papers. In a surprising development to practitioners, the regulatory authority, SIRA, intervened in support of the decision of the arbitrator. 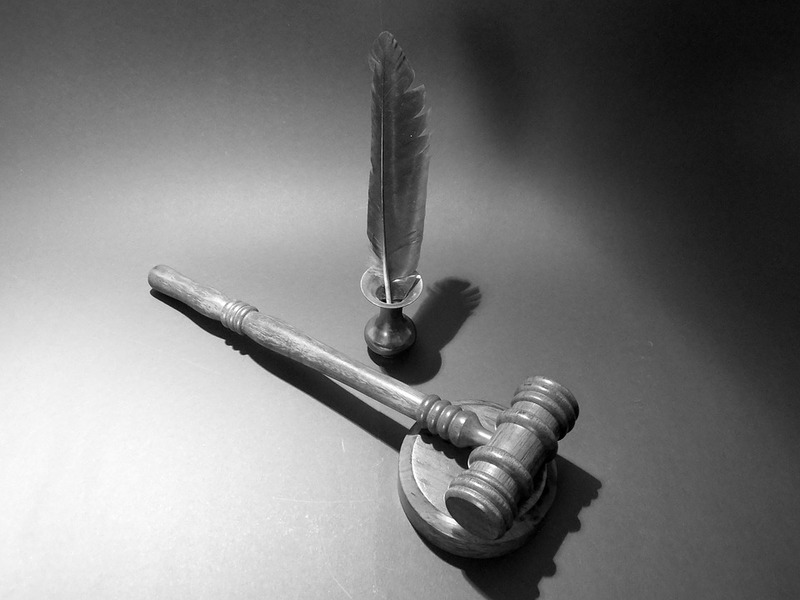 The appellant asserted two errors of law. Firstly, it was submitted that the arbitrator should not have been bound by the earlier authority in Thomas’s case for the reason that in the context of numerous legislative changes, the phrase ‘artificial aid’ no longer had the same meaning as it had done some 38 years earlier. In addressing the first ground, the Deputy President considered the phrase in light of its use in successive legislative amendments. He affirmed the approach of the arbitrator who had relied on the principle enunciated by James LJ in Ex parte Campbell (1870) LR5 Ch App 703: ‘where certain words in an Act of Parliament have received a judicial construction in one of the Superior Courts, and Legislature has repeated them without any alteration in a subsequent stat-ute, I conceive that the Legislature must be taken to have used them according to the meaning which a Court … has given to them’. He concluded that there was no evidence of any legislative intention to alter the meaning of the ‘plain words’ from its earlier interpretation in Thomas, irrespective of whether the legislation was beneficial or non beneficial. In its second ground, the appellant submitted that principles of statutory interpretation including ‘ejusdem generis’, restricted the scope of the phrase by the context of the surrounding words within s 59A(6): ‘crutches, artificial members, eyes or teeth …’. It argued that the context restricts the term to aids that are external, visible and accessible to the body. The Deputy President considered the authorities in relation to ‘ejusdem generis’ noting that as a starting point the Court must consider whether or not effect can be given to the ‘clear and unambiguous’ meaning. He rejected this further ground, concluding that the term did indeed have such a clear meaning, this being the same as that described in Thomas’s case. Furthermore, he also determined that even if the meaning were to be read by reference to the context of the surrounding words, he did not consider the subsection contained any common characteristic capable of being described as a genus. Accordingly, the appeal failed and the orders made by the arbitrator were affirmed, thereby permitting Mr Baldacchino to undergo a knee replacement. The 2012 amendments to the Workers Compensation legislation in NSW have brought about many harsh consequences, particularly in relation to the strict time limits that apply to the accessing of benefits. The decision in Pacific National Pty Ltd v Baldacchino represents some reprieve to injured workers, particularly to retired workers, who would other-wise be unable to enforce rights in relation to knee replacement procedures. There appears to be very little doubt that the decision will also have application to other joint replacement procedures, notably hip replacements. The question as to what other devices will be interpreted as falling within the definition will inevitably become the subject of further litigation. However, the expansive interpretation by the Commission in this matter appears to impose very few limits. Peter has a strong personal injury practice because he knows what clients need and he prioritises delivering outcomes for clients when it matters.